Hi-ya! This is Ali from niftyBA.com! I’m not sure about you, but here in Florida, summer is already on full blast. Even at 9AM, it is hot hot hot (and muggy!). Meh! Let me just go back inside, love on my air conditioning, and play around with some seasonally appropriate NAIL POLISHES! I thought I would share a polish I picked up recently that is perfect for summer AND may be on sale near you, too. Meet Jolt, a color from the new Sephora Formula X line. It is part of the collection’s “Electrics” section. 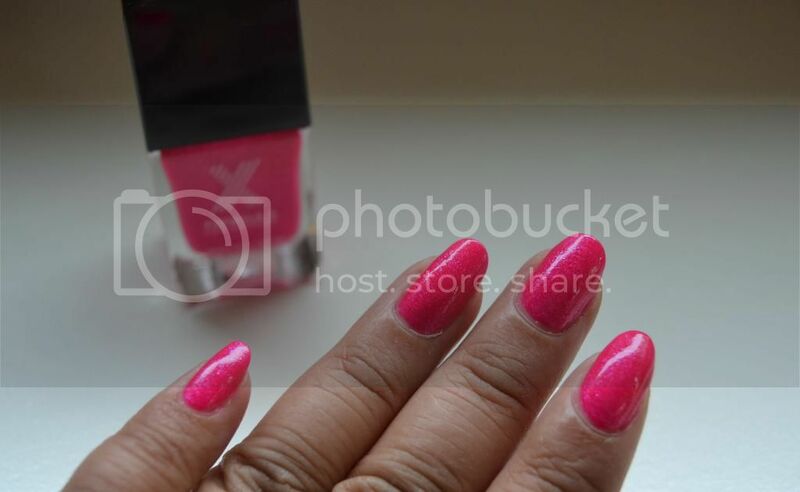 According to the website, Jolt is an “electric hot pink pearl.” This polish can be worn as a matte, or shiny with a top coat. I wanted to show Jolt with 1 coat dried matte, and with 3 coats with a top coat. 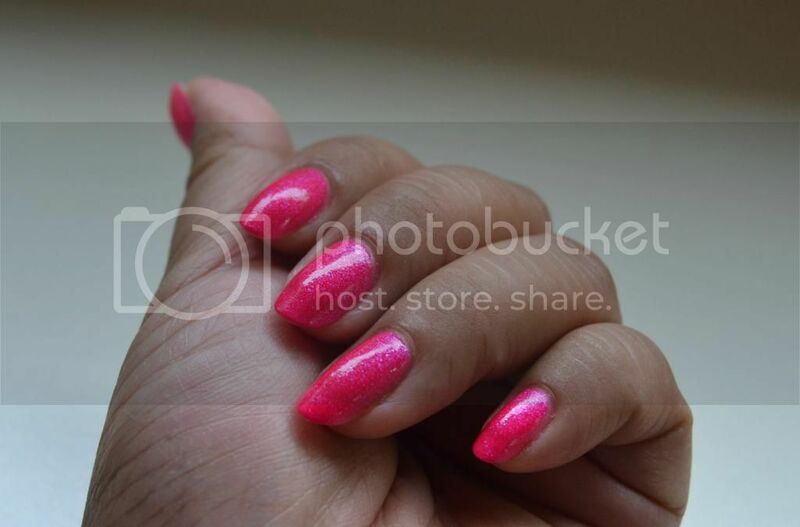 I prefer wearing this and the other Electrics polishes I own with a top coat. Not much of a trouble to work with, just apply thinly and evenly so that the pigments (pearls?) do not clump. The original price of this and many of the “specialty” (aka glitterbombs, special effects, etc.) 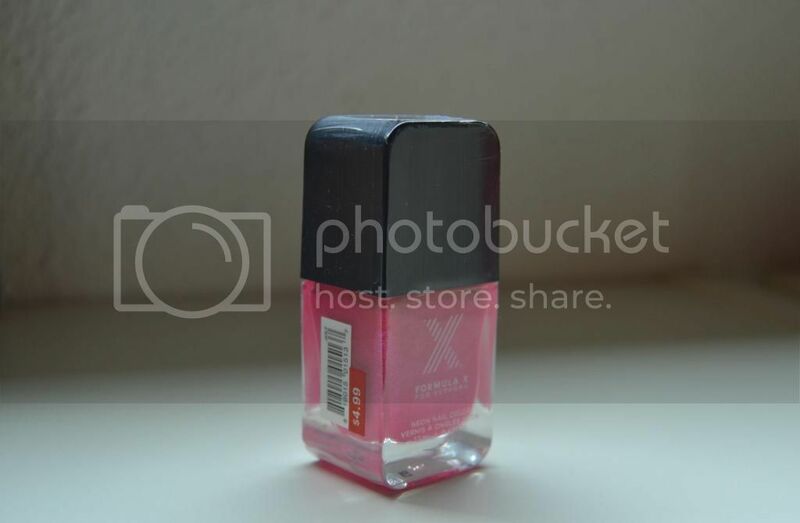 Formula X polishes is $12.50. However, Jolt, along with several other Formula X colors, may be on clearance at your local Sephora. I have found them on sale for $4.99 at Sephora stores located inside JCPenny, and I have also seen some shades selling for $6.99 at Marshall’s stores. You can’t beat that! Thanks Steph, for letting me hijack your blog for a day! Hope you had a great vacation, and have a lovely summer, beauty lovers! Ali can usually be found hugging her baby son or fluffy orange cats. As a new mom, the days of super pointy stiletto nails are behind her for now, she still loves beauty products and collecting nail polish! Please stop by her blog niftyBA.com, or follow her on Instagram @niftyba. Its a nice and bright pink! Great guest post. This is so lovely on you! love this! great guest post!